If you ship freight in volumes of a single pallet or more, you've likely come across a few different pricing methods used to rate your shipment, some more complicated than others. In this post, part 3 of our series on freight pricing and your sales and marketing strategy, we'll discuss the simplicity of pallet shipping rates, and how it can help win new business from potential customers who can make use of ltl pallet rates. Pallet pricing is a simple freight pricing model where you will pay one standard price usually regardless of commodity shipped. 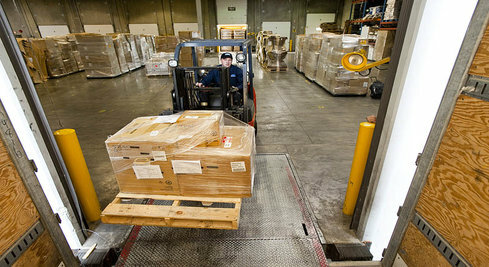 This rate is based on a weight and size (dimensions: length, width, height) of your pallet set by your carrier. The "standard" pallet size (48"L x 40"W x 48"H) and weights (usually less than 1650lbs) will fall into one price bracket; pallets exceeding that weight or size are shipped at a slightly higher pallet rate depending on how much extra truck space is occupied (weight is added). 1. Pallets are a common language for shippers and carriers: "Pallet" is a straightforward term for even the newest of shippers to understand. Since most products can be strapped to a pallet, pricing that is based solely on the length, width, height, and weight of that pallet is simple and easy to visualize, making the whole shipping experience significantly less of a learning process for new customers and your suppliers. 2. You'll have more accurate freight invoices from your carrier and better rates: Simple rating means less confusion about a shipments description and specifics (audited weight and dimensions) which improves carrier performance and reduces disagreements between classifications of freight. Cubic space, in the form of a pallet position, has become a better measure of carrier cost than weight and good carriers will pass some of these savings onto you. 3. Incorporating weight into the calculation gives you better quoting accuracy. With the NMFC pricing model, a slight change in weight can raise the cost of your shipment drastically which can be embarrassing when dealing with new customers. Pallet pricing allows weight adjustments to be easily incorporated converting weight into an equivalent number of pallet positions. It is also simpler to consider since most LTL companies rate each pallet up to a maximum weight, providing leeway in the event of a weight increase. 4. Price comparisons are easy when there is uniformity in shipments. When freight prices are on a per pallet basis you already know what shipping a pallet costs with your carrier of choice and prices are clear and easy to compare among various trucking companies. Since the rates are based on number of pallets and their measurements, shippers will have an easier time identifying how much space they need for their freight and will no longer be subject to classification debates. Good trucking companies like CSA have created a simplified pallet pricing system that includes scheduled terminal to terminal shipments and points beyond so that you are prepared with pallet shipping costs ahead of time and can focus on winning more business. 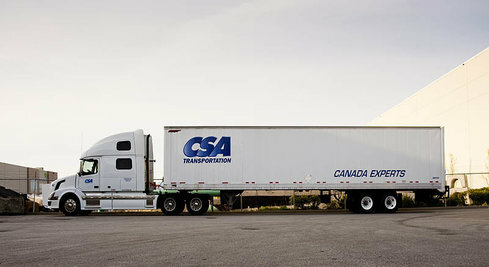 For more information on LTL freight, or shipping from the US to Canada and how we can help, Contact CSA Transportation. Next time we will discuss how having a transportation partner with flexible service options will also give you a leg up when selling your products. "Part 4: Flexible Freight Services" will outline some of the extra services you should expect from a good trucking company. Part 1: "Freight Shipping & Your Marketing Strategy"
Part 2: "Considerations When Including Shipping Costs Into Your Final Product Price"